Postal workers are to stage two 48-hour national strikes next month in a row over pay and jobs, the Communication Workers Union (CWU) has confirmed. The CWU said its members will walk out on 5 October and 8 October, with further strikes to follow if no agreement is reached with Royal Mail. At the centre of the dispute is the CWU's objection to the Royal Mail's 2.5% pay offer and modernisation plans. The union claims the shake-up plans will put about 40,000 jobs at risk. The Royal Mail believes that without dramatic reforms it will not to able to survive in a liberalised mail market. "Despite five weeks of negotiations, Royal Mail have failed to take on board the union's message that in order for the business to succeed, Royal Mail need to invest in their workforce," said CWU deputy general secretary Dave Ward. "Strikes are a proportionate response to an employer that is completely out of control. "Rather than running the business, Royal Mail's actions demonstrate they are intent on destroying it." The Royal Mail condemned the new strikes. "It is clear from our discussions that the CWU leadership does not begin to understand the challenges facing Royal Mail and the very serious consequences for the business if we do not push ahead and modernise," it said in a statement. "The union's unrealistic and unreasonable demands show how the CWU leadership has again failed to understand that no change is not an option and that talking shops will not secure the future of the Royal Mail." 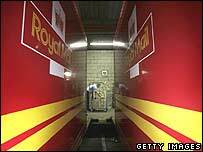 Earlier this month, the CWU said that the Royal Mail had now upped its pay offer to a two-year increase worth 6.7%. Yet the union added that the company was sticking to pension reform proposals - such as increased employee contributions and later retirement age - that it had rejected. The Royal Mail countered at the time that it had "made it clear" to union officials that their aim was to "protect [our] existing people's pensions as far as possible and not increase their contributions".